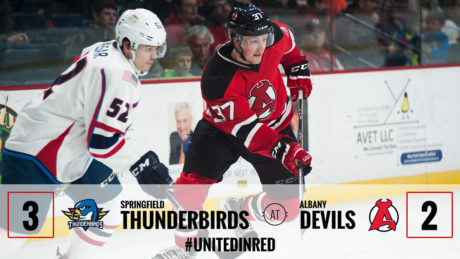 The Devils were shutout, 3-0, by the Thunderbirds Sunday. 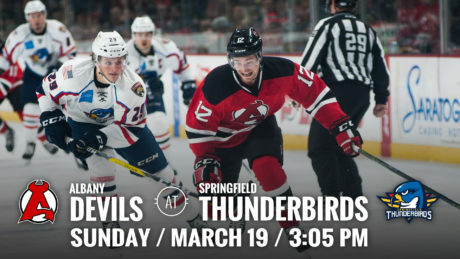 The Devils travel to face the Thunderbirds Sunday for a 3:05 pm face off at MassMutual Center. 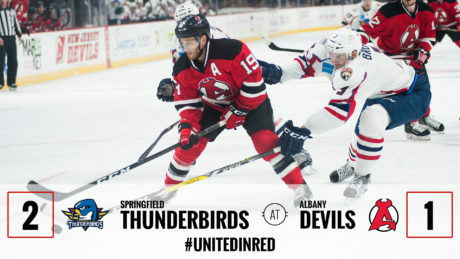 In their third meeting this season the Devils were defeated by the Thunderbirds 2-1 in a shootout Friday. 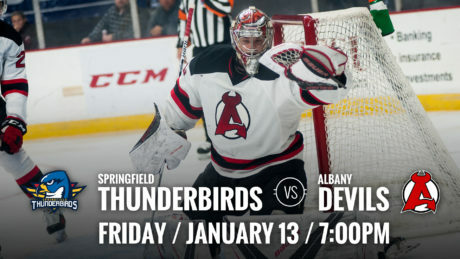 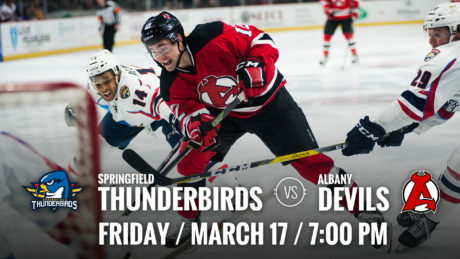 The Devils return home to face off against the Thunderbirds Friday at 7 pm. 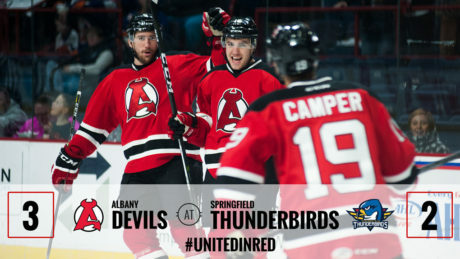 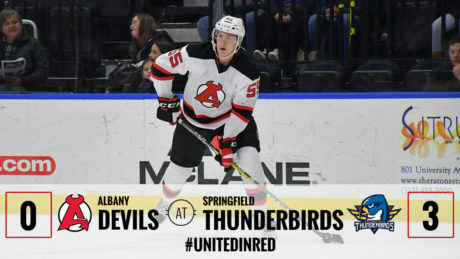 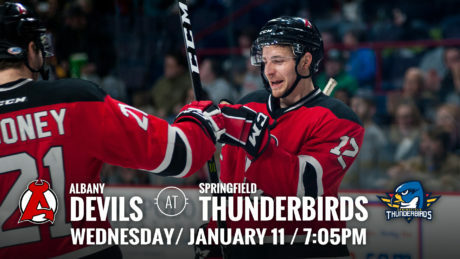 The Devils travel to take on the Thunderbirds this Wednesday for a 7:05 pm puck drop.